This entry was posted in Gardening, Growth and Growing Pains, Totems. Bookmark the permalink. LOL…well, the dusky arion IS a specific sort of stripper, isn’t it? 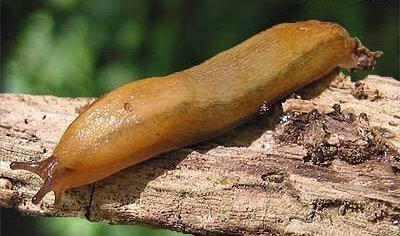 I fight all slugs in my garden, if regretfully. Certain areas, like the mostly native west flower beds are where they are generally safe from molestation. The vegetable garden, however, still evokes rather violent reactions to slugs. One of the fun things about working with totems on a species-specific level is trying to figure out the species, sometimes! And yes, they do like salad bars at least as much as I do.